It is 30 minutes until T.H.E. 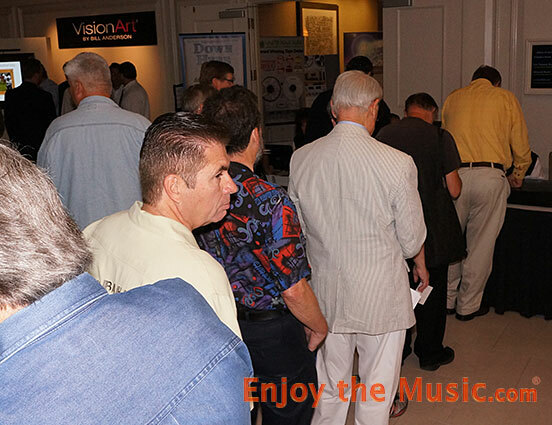 Show 2014 here in Newport Beach opens and there is already an immense crowd forming a line to get tickets! Looks to be a busy show, so time. to get my running shoes on and start with the musical festivities! 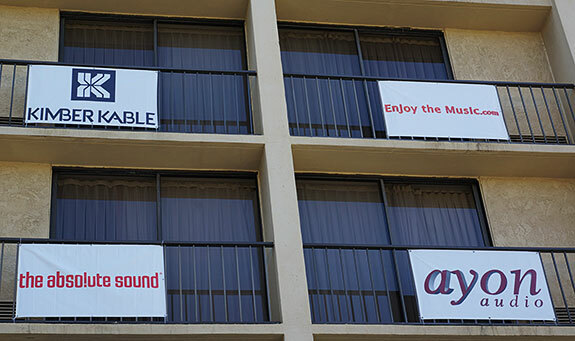 Outside the hotel are many banners including ours! Looks like we are in very good company too. Questyle is here at T.H.E. 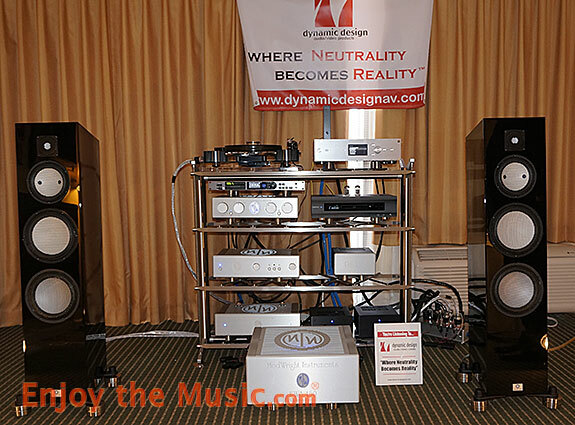 Show 2014 in Newport Beach for their first time in the USA with the CAS 192, which is a 24-bit/192kHz and DSD DAC. 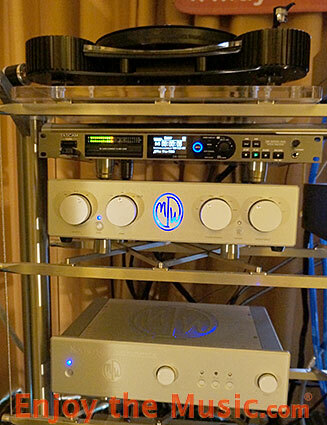 They also had the CMA800R amplifier too. The DAC handles true DSD and the amplifier operates in current mode for driving those peskier headphones. Noble has their entire line of impressive custom IEMs that start a reasonable $450, with their top model reaching $1600. 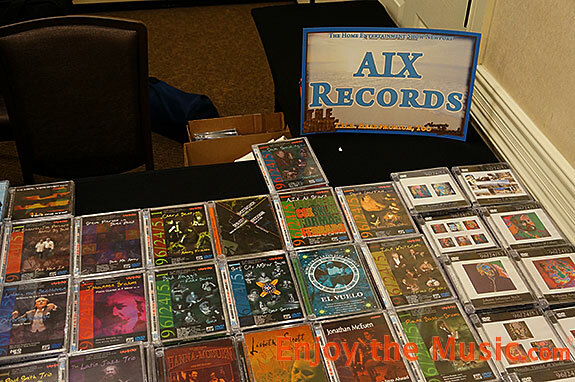 AIX Records is one of the original high rez audio music companies and they had a good showing with many of their well-received recordings here at T.H.E. Show Newport Beach 2014. Always enjoy stopping by the YG Acoustic room and here they launched the new Hailey 1.2 ($42,800) mated with Kublai-Sosna Elation! cables. Every time I hear this setup my ears love the sound. Fast, clean and very responsive with excellent definition and soundscape. The front-end was sweet, too, with the Kronos turntable singing sweet tunes. 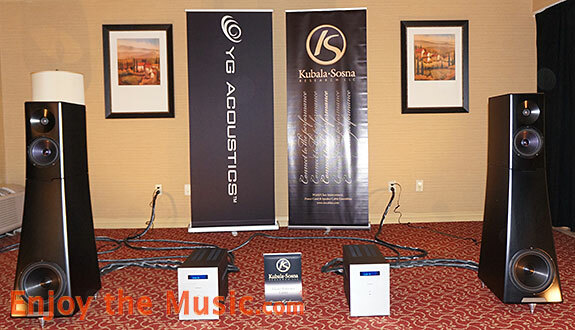 Joe Kubala spoke of his new AC power distributor (top right in above photo) during our video interview at AXPONA The new XPander ($4800) has seven power outlets and is unique in that they do not jumpers or bus bars. Instead, they opt for their own PurePath design. Very solid and hefty with a Corian enclosure. Grimm Audio's LS1S ($39,900) three-way speakers are entirely self-powered via six monoblocks built-in DAC. It can handle Double DSD/DXD and 24-bit/192kHz plus an XLR balanced analog input. All you need is a source consisting of USB, S/PDIF, AES/EBU or analog XLR. More details of this all-inclusive design is the CC1 Clocking Circuit, six NCore amplifiers, DSP processor, preamp / switcher / control unit and of course integrated Bass Modules. Dynamic Design's room had their Titanium and Heritage cabling with a design philosophy of purity via controlling noise within the signal transmission. Thus, a complex shielding system is employed. They also had ModWright's killer-great electronics! The sound was dynamic, clean and wonderfully realistic sounding top to bottom. 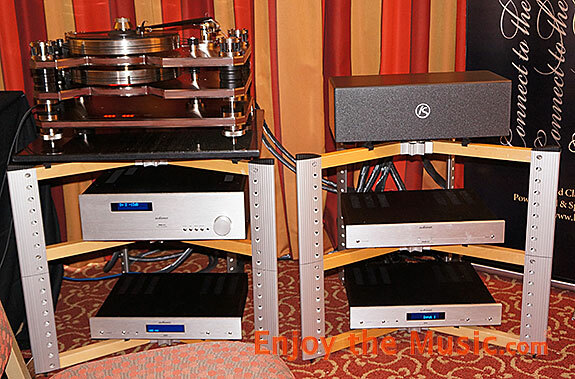 The Heliux Alexia turntable and Stillpoints resonance control panels and rack help round out this system.